Home > Keeping House > Do it Yourself or Pay Someone Else? There are a myriad of little DIY jobs around the house that seem to need doing, and with work and play getting in the way, sometimes you just feel as if you want to pay someone else to come in and sort it out for you. But is it worth paying somebody else to do your household chores for you, or should you make time to do it yourself and save money? Paying for someone to clean the house sounds like most people’s idea of luxury – and a lot of people would turn their noses up at paying someone to clean up after them. If you have a large house, and a demanding job, it can be worth looking into hiring a cleaner to come in once or twice a week to keep things ticking over. It depends on whether you feel comfortable letting a stranger have a key to your house and being able to root around in your private possessions – even if it is only to tidy them up! Expect to pay up to £10 per hour for a basic once over. More if you ask the cleaner to do extra tasks like ironing or window cleaning. Cleaning external windows is something best left to experts – mainly because they have all the tools and can reach them! Most window cleaners will come to your house and give you a quote based on number of windows, accessibility, whether you have a conservatory etc. Many people hate decorating, and it is a messy, thankless task! 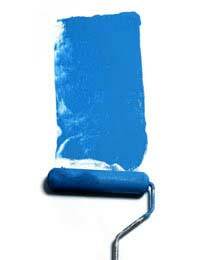 Once you get started, it’s not too difficult, depending on which area of the house you are decorating. As a general rule, unless you can’t physically do it yourself, it’s usually better to try. However, there are some exceptions to the rule – for example coving and plastering are often best left to experts, despite the do it yourself plastering & coving kits you can get from all DIY stores. Hanging wallpaper can also take some practice, so if you’re not confident, it could be worth getting a professional in to at least show you how it’s done. If you have a house with high ceilings, you might also need some help from someone who has safety ladders to be able to reach areas like landings. Whether or not you attempt to repair domestic appliances will usually depend on your own confidence and level of competence with the appliances that have let you down! Some things aren’t too difficult – most of us can change fuses and light bulbs with very little difficulty, for example. Small repairs that are obvious can be tackled by a novice with very little problem – small DIY jobs like hanging curtain poles, fixing up pictures and shelves aren’t too onerous either. If you really can’t manage it, you can call in a general ‘handy person’ but expect them to charge you accordingly, especially if you call someone out for a small, uneconomical job. Washing machines, cookers and dishwashers, plus entertainment equipment such as a TV or DVD are better repaired by experts – unless you really know what you’re doing and are confident that you can carry out the job without making the problem worse! Unless you are a registered CORGI installer yourself, or have the appropriate qualifications, you should never attempt to repair any gas appliances or electrical problems in the home. There’s too much scope for disaster, and it’s just not worth trying to save money in these two important areas. If you have problems with gas boilers, cookers or central heating, make sure that whoever you call out to deal with the problem has the right qualifications as shoddy repairs can be extremely dangerous.